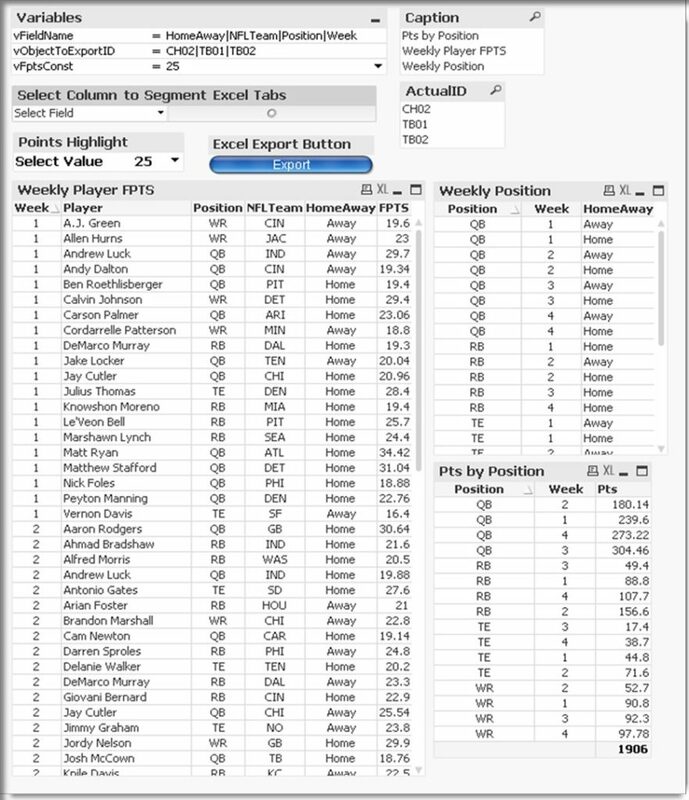 The following post is the third in a series covering the Qlikview Export to Excel (tables, charts, listboxes, etc.) process. In this post, I will demonstrate how to export the content of a table box or chart into separate Excel tabs based on a user-selected field. Also, I will show how you can do some additional formatting in Excel once the data is exported. Note: Save Qlikview Document, then RELOAD before Continuing. The Load Script needs to pick up attributes of the three objects above before you continue! MSGBOX "You must select a column to segment the Excel tabs. ", 16,"Export Terminated"
MsgBox "You must input an Object to Export", 16, "Export Terminated"
MsgBox "Export Canceled", 64, "Export Canceled"
MsgBox "Successful Export! ", 64, "Your data has been exported to Excel." Select an item from either the “Caption” or “ActualID” List Box. This selection determines which ObjectID gets populated in the “vObjectToExportID” variable. You can see your selection populate in the “Variables” Multi Box object after you make your choice. In the drop-down Input Box “Select Column to Segment Excel Tabs”, pick which field you would like to segment the data in different Excel Tabs during the export. This selection determines which Field gets populated in the “vFieldName” variable. You can see your selection populate in the “Variables” Multi Box object after you make your choice. 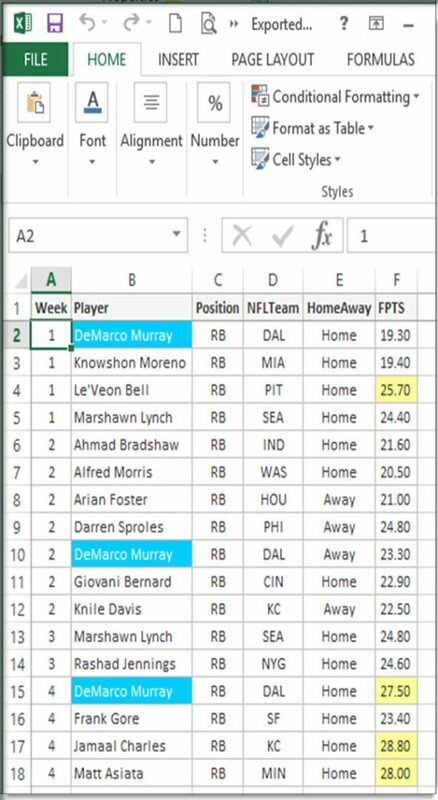 In the drop-down Input Box “Points Highlight”, pick a value you would like to have the macro compare against field “FPTS” in Excel. If the value in Excel is greater than your selected values, it will highlight the cell background color Yellow. 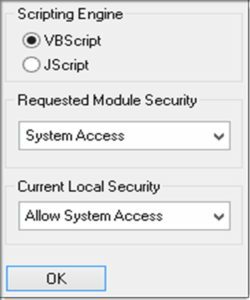 The selected value is stored in the “vFptsConst” variable. You can see your selection populate in the “Variables” Multi Box object after you make your selection. Once you see the “Successful Export!”, you can open the file to view your data! I hope this example was informative. If there are any additional features you would like to add, or if you have any further questions about the example in this post, please post a comment. Thanks, this was exactly what I was looking for! Followed all instructions and got it working, then was able to tailor this to my own needs. Great post!